Extruded aluminium housing provides superior heat conduction. Housing deep finned for maximum heat dissipation at natural or forced air convection. Gold anodized finish for maximum resistance to environmental conditions. Special thermosetting compound with high thermal conductivity. Winding designed to give maximum core coverage and uniformity for even heat dissipation. Core centerless ground for maximum winding uniformity. Marking at top surface for easy identification after mounting. Complete welded construction terminal to terminal. 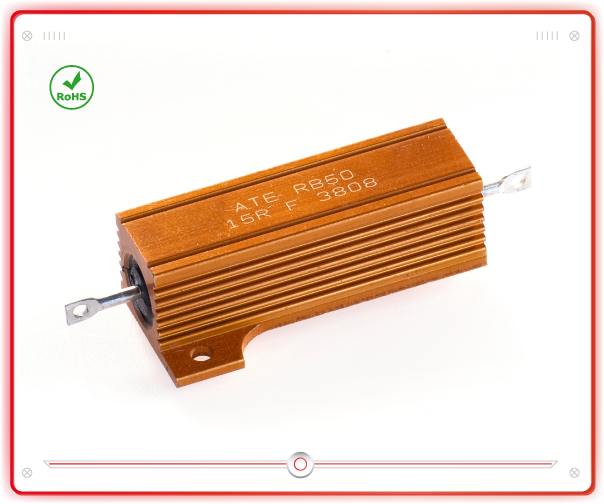 These resistors meet or exceed the requirements of MIL-PRF-18546 G specifications.